Erin Peters holds a joint position as Lecturer in Curatorial Studies in History of Art and Architecture and as Assistant Curator of Science and Research in the Carnegie Museum of Natural History. CMNH holds the majority of the Carnegie Museums of Pittsburgh’s objects from ancient Egypt, and Peters is currently curating an updated display of the Walton Hall of Ancient Egypt. As part of planning this display, she has been awarded two National Endowment for the Humanities planning grants – the first, to design a digital interpretation of the museum’s nearly 4000-year-old Egyptian funerary boat and the second, for the overall exhibition entitled, “Egypt on the Nile.” This major project is core to her museum studies courses, which unite practical on-the-ground museum work with theoretical exploration. This thread is also central to her current course HAA 1021/2021: Inside the Carnegie International, which is co-designed and co-taught with Liz Park, Associate Curator of the CarnegieInternational, 57thed., 2018. The course takes the Carnegie International, a major international contemporary art exhibition, as an example of on-the-ground museum work, and the students explore the exhibition as their classroom and their textbook. Peters researches temples built in Egypt under the first Roman Emperor, Augustus, who annexed Egypt into the Roman Empire in 30 BCE. 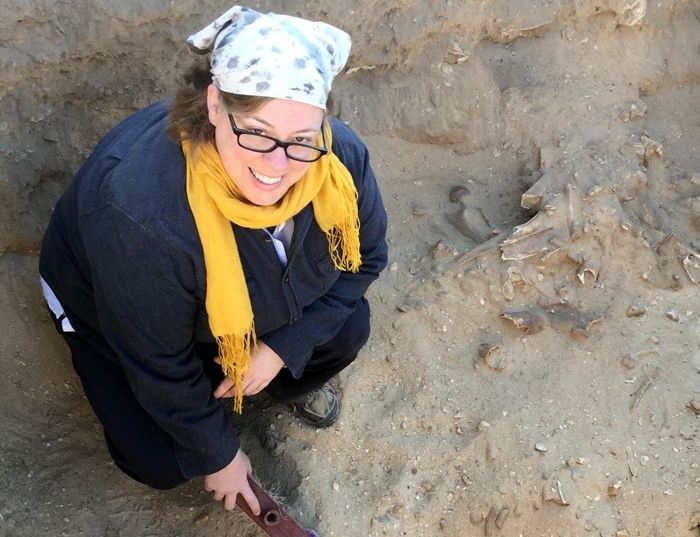 She has conducted four seasons of field research in Egypt, and is currently a member of the Egyptian Ministry of Antiquities and Italian Archaeological Mission of the University of Florence at el Sheikh Abada, ancient Antinoupolis in Egypt. Antinoupolis is the famous city built by the emperor Hadrian for his companion Antinous, who is said to have drown in the Nile in 130 CE and deified after his death. A major part of the Mission’s project is to make a complete architectural and urban plan of the Hadrianic city, and Peters is investigating the sacred landscape, particularly how “Egyptian” and “Roman” elements function together in sacred space. Egypt in Empire: Temple Art and Architecture in Augustan Egypt, monograph proposal submitted to Cambridge University Press, December 2017, under review. “Coloring the Temple of Dendur,” Metropolitan Museum Journal53 (2018), in press. “Octavian Transformed as Pharaoh and as Emperor Augustus.” In Ancient Art of Transformation, edited by R. Gondek and C. Sulosky Weaver. London: Oxbow Books, in press. Peters, E., M. Felsen, and M.P. Saba. “Experiencing Ancient Polychromy at the Metropolitan Museum of Art’s Temple of Dendur.” In From Macro to Micro: Examining Architectural Finishes, edited by M. Jablonski and K. Travers Moffitt. London: Archetype Publications, 2018, 189–196. Peters, E., C. Roberts, and P.P. Creasman. “Recent Research on the “Carnegie Boat” from Dahshur, Egypt.” Journal of Ancient Egyptian Interconnections16 (December 2017): 99–103. Peters, E. and D.C. Patch. “Living Color: The Met Museum’s Temple of Dendur.” Egyptian Archaeology50 (Spring 2017): 5–10. “Curator—Curatorial Studies: Towards Co-creation and Multiple Agencies.” Contemporaneity: Historical Presence in Visual Culture5, no. 1 (2016): 123–128.